Being a puritan and a snob, I wouldn’t normally condone any recipe for pesto which strayed away from the traditional holy trinity of basil, pine nuts and parmesan. Profane variations such as ‘Rocket and walnut’ or ‘Spinach and sun-dried tomatoes’ have a desperate and makeshift ‘Ready Steady Cook’ feel about them, which in my experience never fails to disappoint. 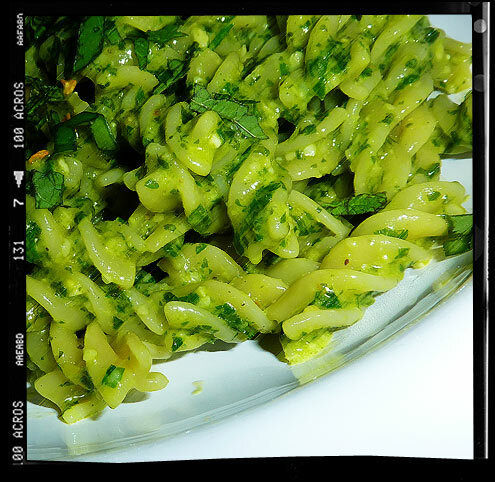 FACTOID: This 3 herb pesto is the one and only exception to the rule. Put the nuts, herbs, anchovies and garlic into a food processor and pulse until coarsely chopped. Add the cheese and with motor running, gradually add the oil to combine. Add lemon rind and juice and pulse to combine. Meanwhile, cook your pasta the usual way until al dente (8-10 minutes). Add the pasta water to the pesto and pour over the pasta – toss to combine. Serve hot (in heated bowls), scattered with extra nuts, basil leaves and chilli flakes, and drizzled with a little extra oil, if desired. Verdict: An excellent twist on traditional pesto. 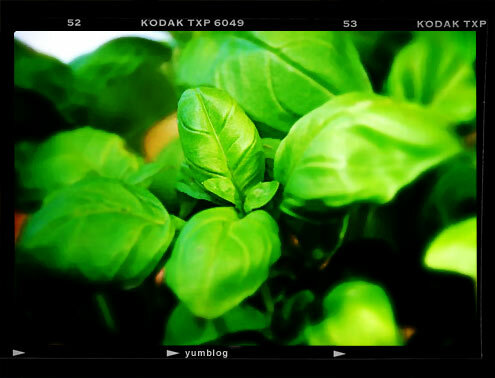 A conventional basil flavour to start with a fresh mint and lemon to finish. Drink: A bottle of the ‘featured small producer of the week’ from Nicolas…I love the French staff who work here – it’s impossible for them to say ‘Have a nice day’ without sounding sarcastic. Entertainment: Stewart Lee followed by Rafe Spall. 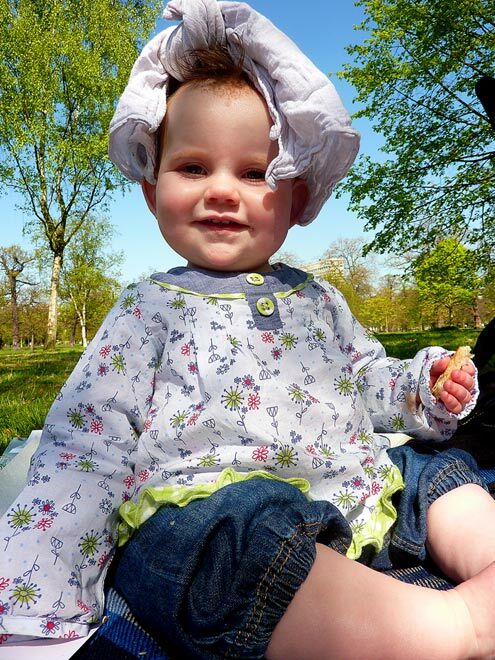 Self-indulgent photo of the week: Yumblog Junior sporting an improvised sun hat. I’d forgotten the parsley but added some fresh marjoram instead. A very satisfying meal, thanks. Not a big fan of Fusilli but it works well, besides it was on special in the local co-op.